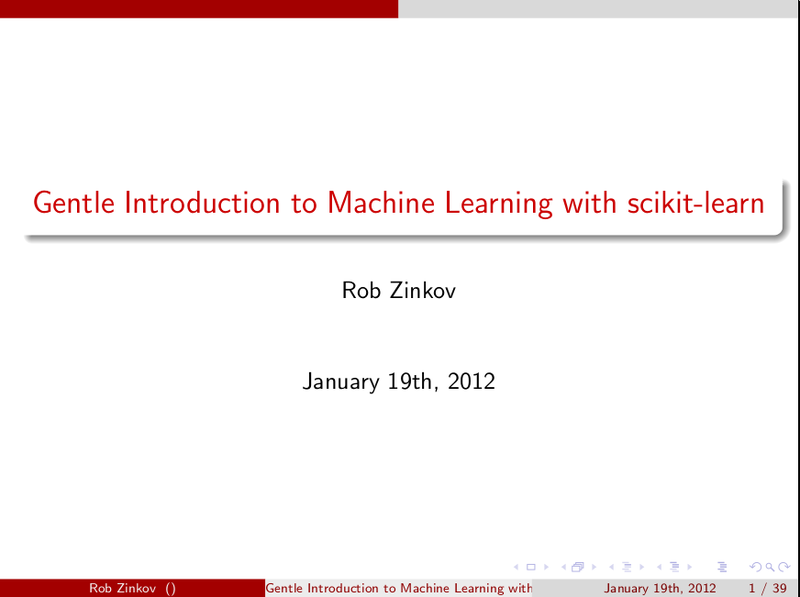 I got the opportunity to give an introductory talk on scikits-learn. It was an interesting experience as many of the attendees were just regular software developers. Explaining machine learning to practioners is one of those skills that is really important and hard to develop without basically giving talks to them. Hopefully, this is useful to somebody. Oh and compels people to try out the library.